Michelle Vocht, a partner at Roy, Shecter and Vocht which is representing the plaintiffs, told Newsweek that the climate of constant racial abuse meant that one of her clients eventually began to fear for their life in their own home. “I have seen some pretty horrible things in my career. I have been practicing law for 37 years. But in terms of hostile work environments this is very bad. This is egregious,” she said. “There was a great deal of worry and fear. One of my clients was leaving and someone was filming him. A very strange person, a white guy… It is something that's in the plant and outside the plant. I had clients put cameras outside their homes,” Vocht explained. 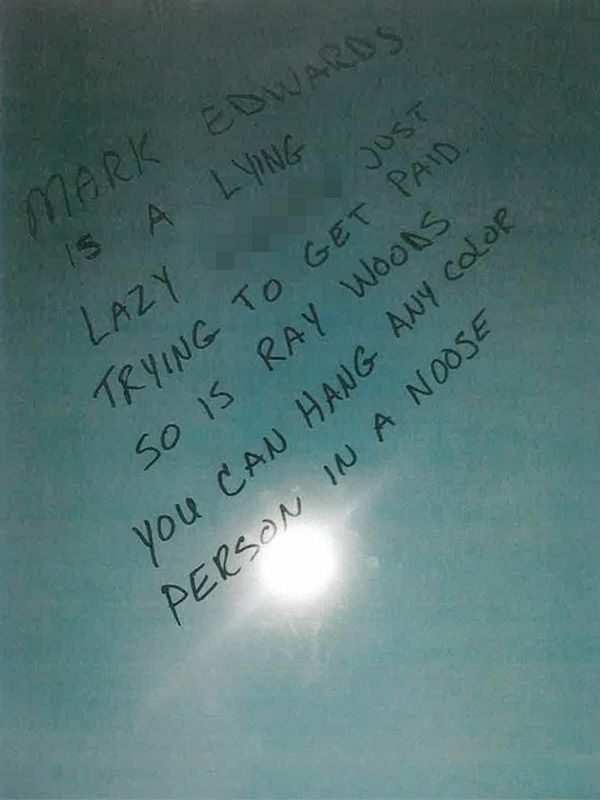 Two of the complainants, Marcus Boyd and Derrick Brooks, told CNN the use of the N-word was ubiquitous at the plant, which seems by black workers’ description to have been a throwback to the days of segregation. One woman who was seen walking with Boyd found that "n***** lover" had been written on her pizza box. Eventually the abuse turned to more explicit threats of violence. One worker raised a metal clutch assembly tool against Boyd over a vacation request. One swing could have killed him. Brooks said the environment eventually became like that of a battlefield. Boyd was eventually told of a plot by eight white employees to “sabotage and to follow [him].” He was advised to get a gun. Eventually both Boyd and Brooks quit their jobs but said the are still told of continuing racism at the plant. Vocht told Newsweek that white workers at the plant congregated in the parking lot where their cars were plastered with confederate flags, some of them carrying guns. She agreed that among some of the workers there was a culture of white nationalism. “It's a culture and it's not enough to ask who did it and it is not enough to say you shouldn't do it,” she said. 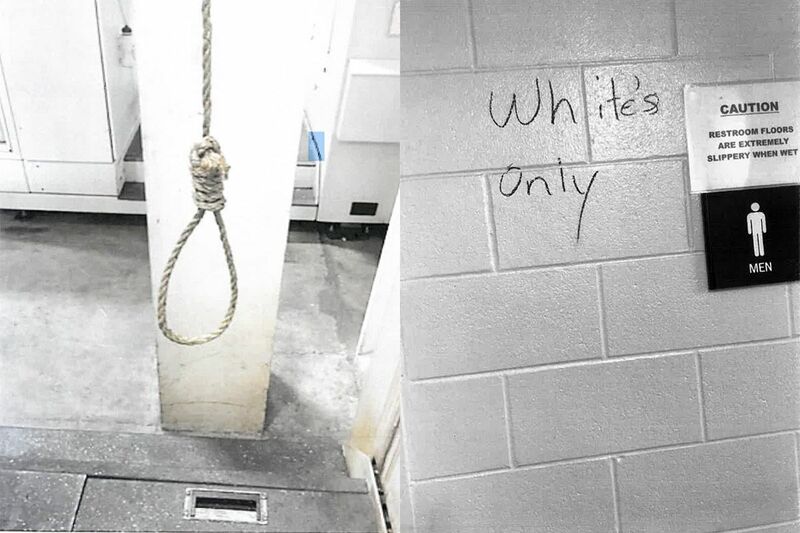 The company eventually replaced all ropes in the plant with yellow chains in response to the noose incidents and is investigating the handwriting used to write the racist messages at the plant. However, the ten workers named in the suit have described GM’s reaction to what they have called an "underlying atmosphere of violent racial hate and bullying" as inadequate. “GM let it happen and continues to let it happen. Their initial investigation was basically non-existent,” Vocht said. Police were eventually admitted to the Toledo plant after news of the suit first broke in the Detroit Free Press. However, Vocht questions why GM hasn’t worked harder to protect its workers and has sought to minimize the racist abuse. GM has rejected the characterization of the the Toledo plant as hateful and bullying. The company has said it does not accept discrimination and harassment. "Every day, everyone at General Motors is expected to uphold a set of values that are integral to the fabric of our culture," GM said in the statement. "We treat any reported incident with sensitivity and urgency, and are committed to providing an environment that is safe, open and inclusive. General Motors is taking this matter seriously and addressing it through the appropriate court process," the company said. Following a number of complaints, the Ohio Civil Rights Commission said in March last year that a nine month investigation into the Powertrain plant had uncovered a racially hostile environment. The commission's director of regional operations, Darlene Sweeney-Newbern, said the abuse was among the worst she’d ever seen. "GM did not deny that these things were taking place. They simply said, 'Hey, as soon as we heard of these things we moved in and we took action.' That is not what we found in the investigation," she said. Trump Takes On General Motors—Guess Who'll Win?